What photo takes you right back to Armenia? Us at Zorats Karer. Just one of the many spectacular sights that we had to ourselves in Armenia. Summarise Armenia in three words. Pothole – we really enjoyed having a car to explore some of the out of the way corners of Armenia but driving required a lot of concentration as even the main roads had some impressive potholes! 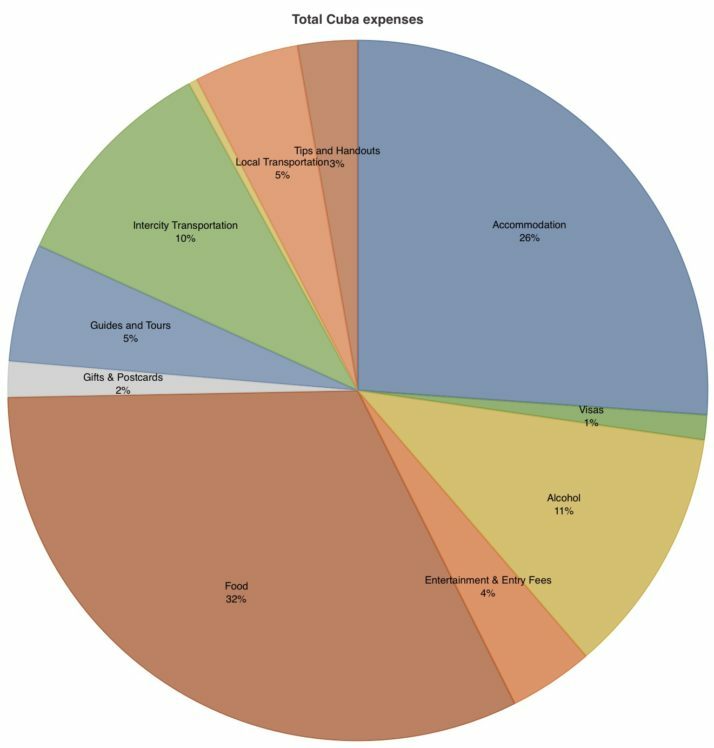 …your guesthouse seems to be doing their best to overfeed you! We didn’t know much about Armenian food before we arrived so it was a pleasant surprise to find something akin to a mixture of eastern Mediterranean and northern European cuisines. Just as well as our hosts regularly plied us with more food than we could possibly manage. 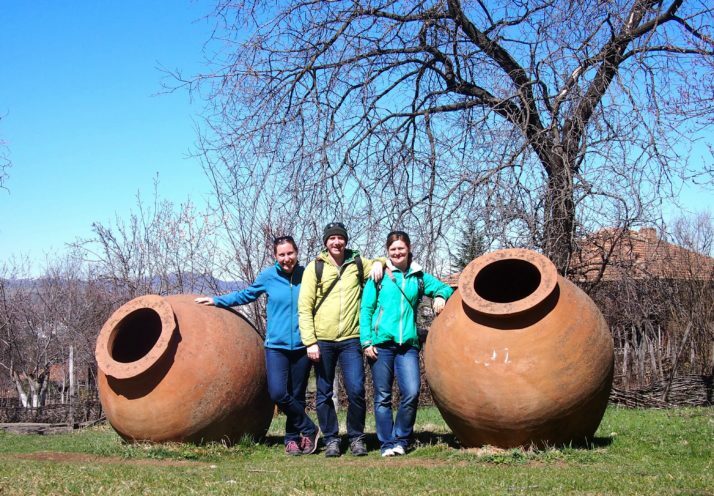 What one item should you definitely pack when going to Armenia? Your thermals. 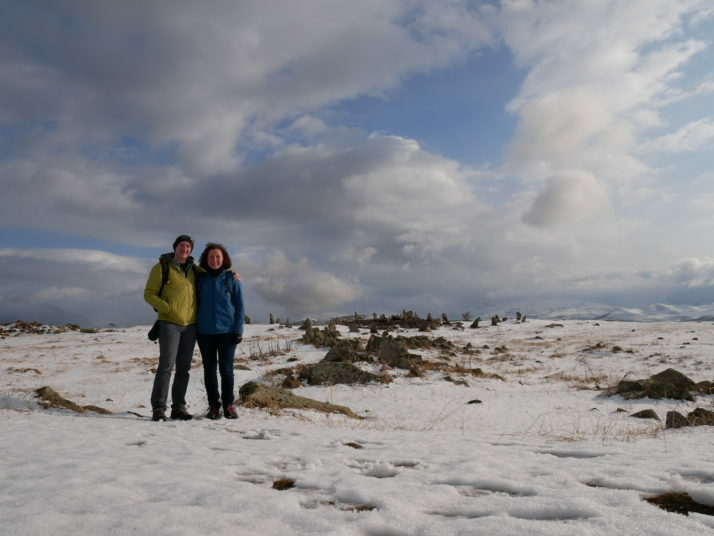 Pretty much the whole country is at high altitude so if you’re travelling in the winter or early spring as we did you’ll need some warm clothes – it gets bitterly cold. This entry was posted in Places and tagged Armenia, Round Up on April 27, 2017 by Julie. From Amsterdam we decided to spend a few days in the heart of the European Union before we hopped on the Eurostar for the final train journey of our two year trip. Brussels surprised us, maybe because as it was the last stop on our long journey and we were fighting the wind-down and possible post-travel blues, or perhaps we thought the whole city would be little more than a wrapper for the European Parliament – i.e. not much else to do or see. 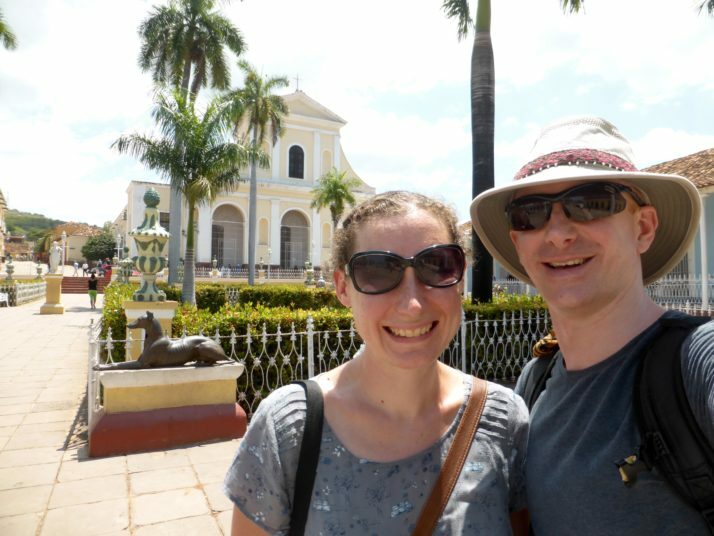 Instead we found a vibrant, walkable city with a comic-book heritage and a cheeky, laid-back sense of humour. And because it’s Belgium the waffles, chips, chocolate and beer are superb – 4 days and we’d decided we could live here! Comic book wall #1 is Hergé’s Adventures of Tintin, obviously! Neither of us were big comic readers or collectors as kids, but I do remember a fondness for Hergé’s Adventures of Tintin and I had quite a few of his large format comic books. 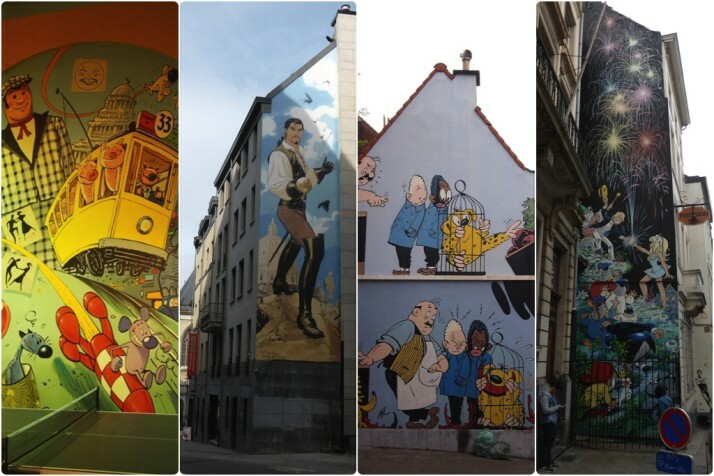 Brussels is home to a number of famous European cartoonists, including Hergé (the pen name of Georges Remi) Maurice De Bevere, André Franquin and Maurice Tillieux. Not that we’d heard of any of these except Hergé mind you! 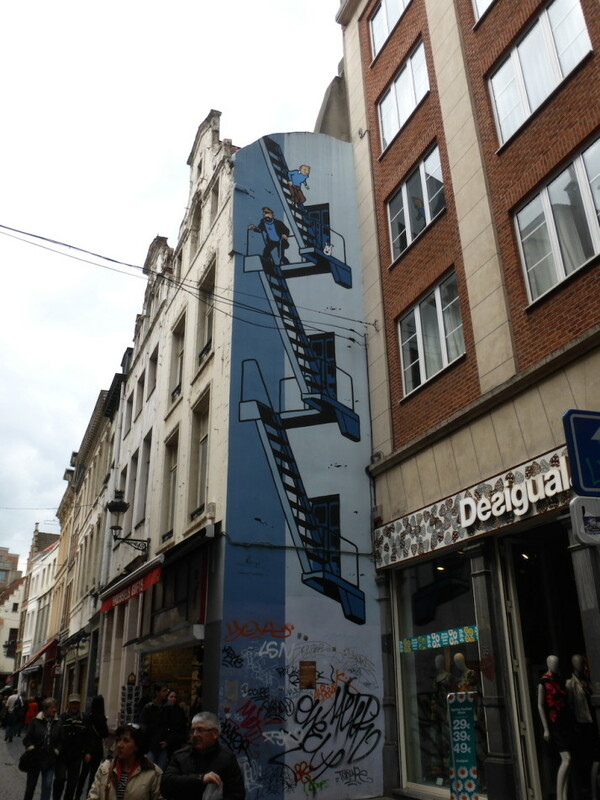 That didn’t hinder our enjoyment of the street art as we explored Brussels. There are about 80 public comic frescos throughout the city, and while the suggested routes are marked on the tourist maps available in the city, we often had to go an extra block to find the work, and one of them was inside a hostel which we’d never have found if it wasn’t for the Visit Brussels app, which has more accurate locations, offline maps (yay!) and a short informative paragraph that gave us a little context or history. The comic book walls are varied and delightful, and were a great way to join up the other sights we wanted to see in Brussels. As I may have mentioned before, I’m really intrigued by how things work, and that includes social structure and governance, so when in Brussels we took a free guided tour of the European Parliament.. we got the full European experience too as we joined the tour in French! 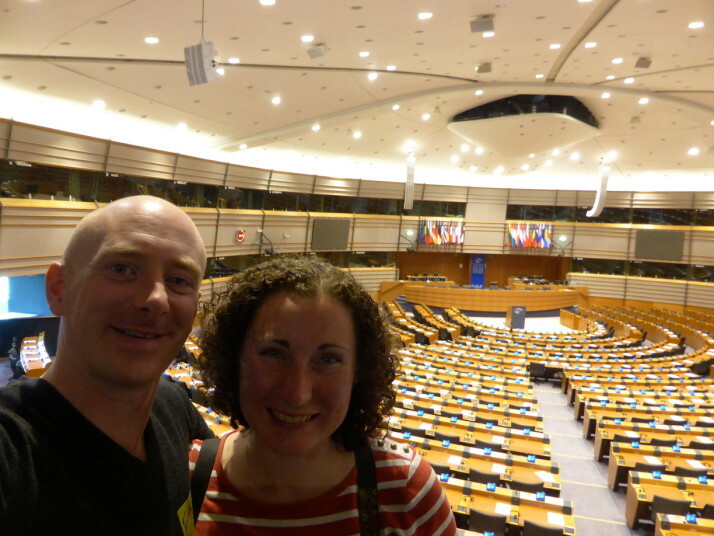 Julie understood a little more than I did, but we both got the gist of the introduction to how the European Parliament works and how it’s made up. I think we’d have gotten more out of it had the tour been in English or if they hadn’t run out of audio guides, but we’re definitely pleased we went. 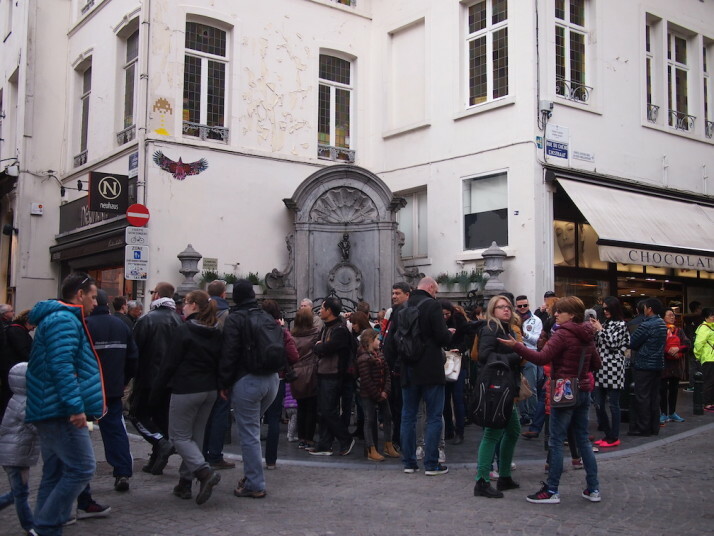 The Manneken Pis is one of the most visited sights in Brussels and every time we walked past it there were crowds of admirers! 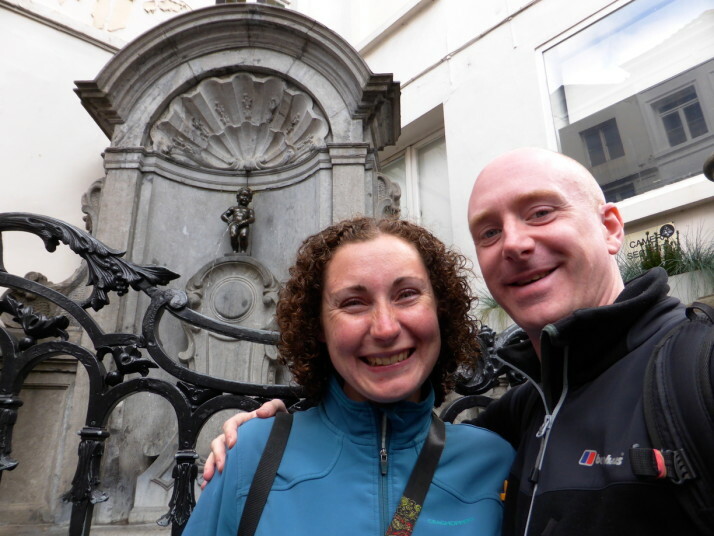 We didn’t know that the official mascot of Brussels is the almost 400 year old Manneken Pis – a small bronze statue of a little boy urinating! There are many legends for why the statue was built and put on display just around the corner from the main square in Brussels, but we found the stories of its various abductions over the years more interesting! 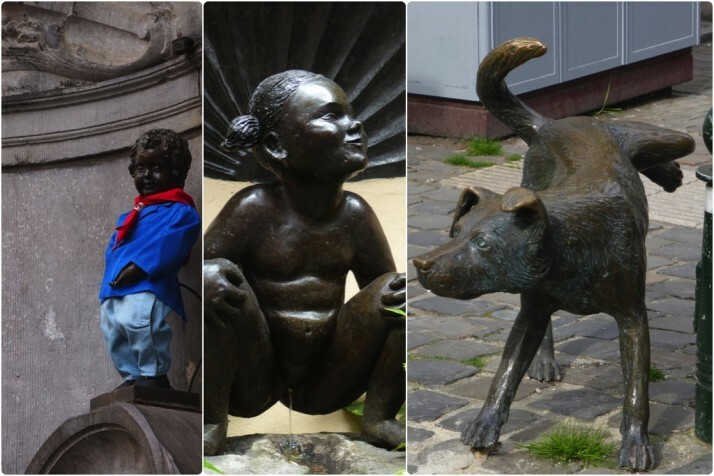 The little boy is now one of a trilogy – his cheeky behaviour has been copied by Jeanneke Pis – a small girl locked away down a back alley in the restaurant district, and Zinneke Pis – a dog relieving himself against a bollard a few more blocks away! They’re all light-hearted and adorable, especially the original Manneken Pis because a few times a week he gets to dress up! And he has over 900 costumes! 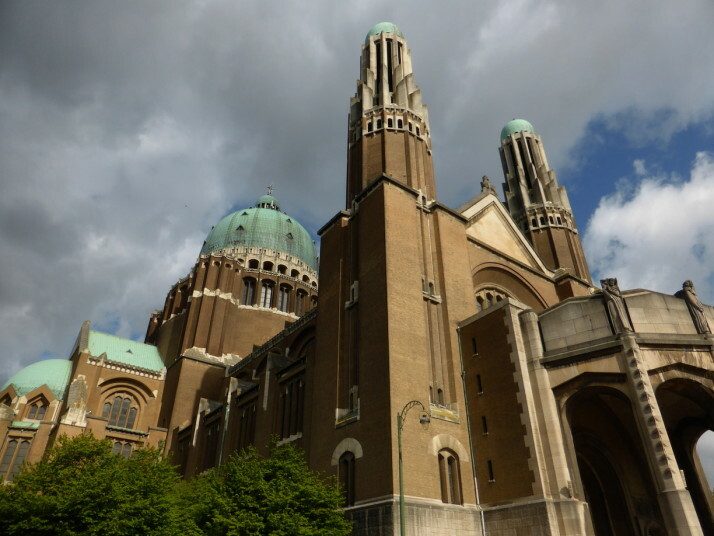 The “Basilique Nationale du Sacré-Cœur à Koekelberg” or National Basilica of the Sacred Heart in Koekelberg was just a few blocks from our lovely apartment in Brussels, and it’s both the largest Art Deco building and the 13th largest church in the world. It’s so big that it holds celebrations in two languages, has an exhibition space, a restaurant, a theatre, a radio station and two museums! 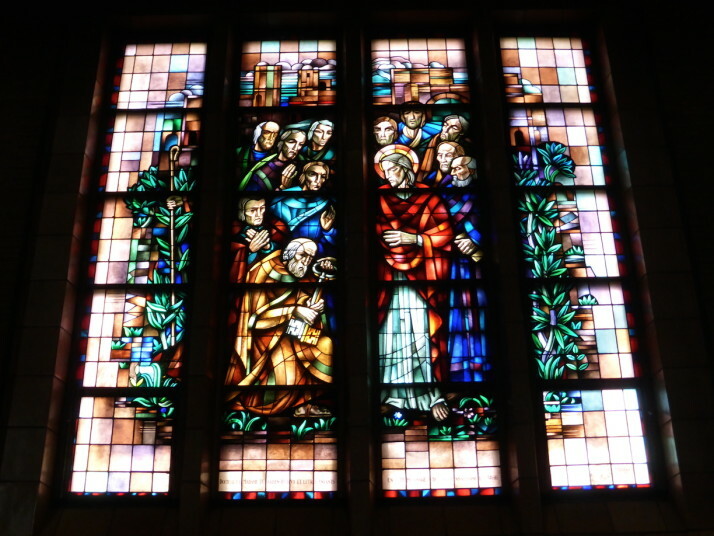 We though the exterior was more impressive than the understated sparse interior, with the exception of the wonderfully detailed stained glass panels. 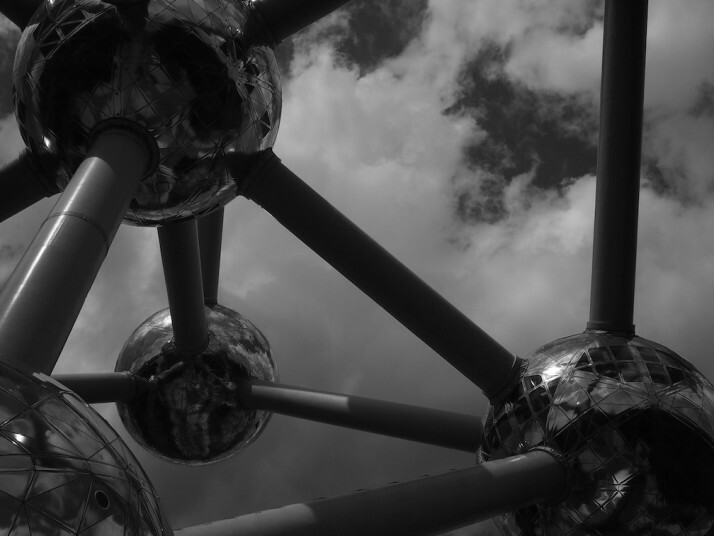 The Atomium science museum still looks futuristic to us after 60 years! 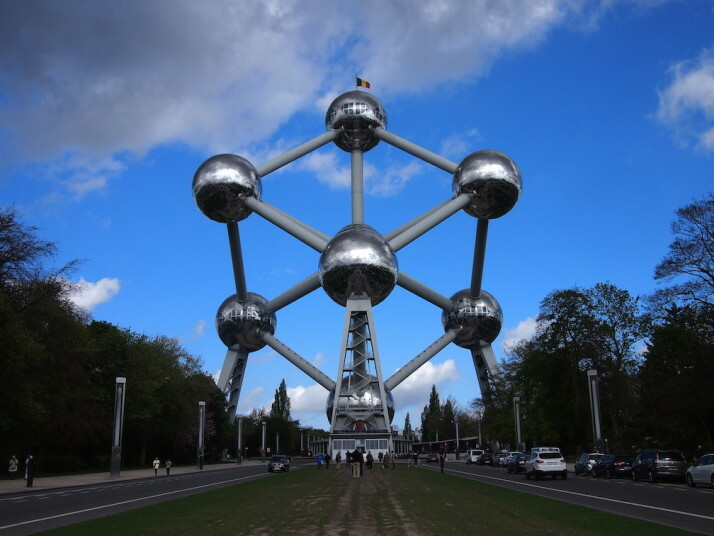 Also just outside the city centre is the site of the 1958 Brussels World’s Fair, which is home to another iconic sight on the Brussels skyline – the Atomium. It’s a really striking building that plays with its own perspective. Somehow to us it looked bigger from further away, and when we were stood underneath it the spheres didn’t seem big enough to be exhibition spaces as it’s now a museum and viewpoint. We didn’t get to the museum inside because we enjoyed taking photos of the outside too much! We weren’t sure if the arrangement of the spheres were significant, but I looked it up and it’s a unit cell of iron crystal magnified 165 billion times. As we arrived the grey cloud dissipated a little and made a spectacular backdrop for the reflective steel of the structure. We took far too many photos. Again. 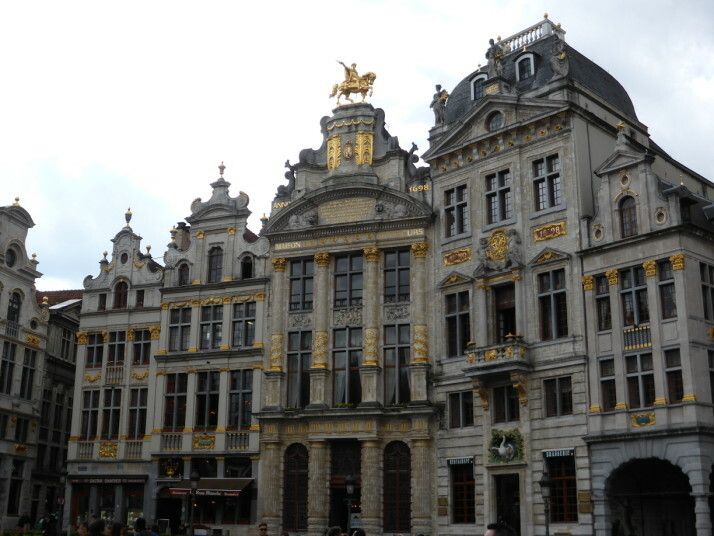 And on to the round up of our short city stop in Brussels..
What photo takes you right back to Brussels? Summarise Brussels in three words. .. you’ve just had moules-frites (mussels and chips) for lunch, washed down with a Trappist ale or two! What one item should you definitely pack when going to Brussels? Your sweet tooth – the waffles are fantastic and with so many different and inventive toppings we had to try a few, though we’re glad we always shared one as they’re very sweet! 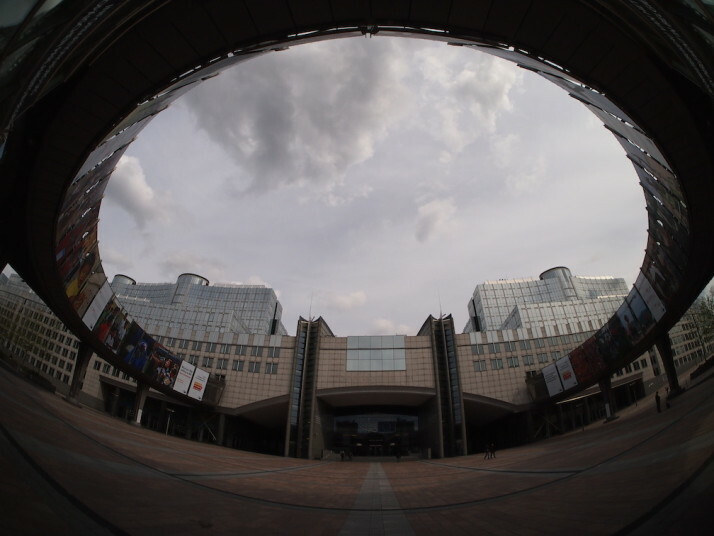 This entry was posted in Places and tagged Architecture, Belgium, Brussels, Church, Comics, European Parliament, Round Up, Waffles on May 7, 2015 by Andrew. What photo takes you right back to Amsterdam? Summarise Amsterdam in three words. Tolerant – Amsterdam is a multicultural place and the locals seem to have a pretty relaxed attitude to most things, be it the customs of others, the waft of marijuana smoke from the coffeeshops, or legalised prostitution. .. there are fresh flowers everywhere. 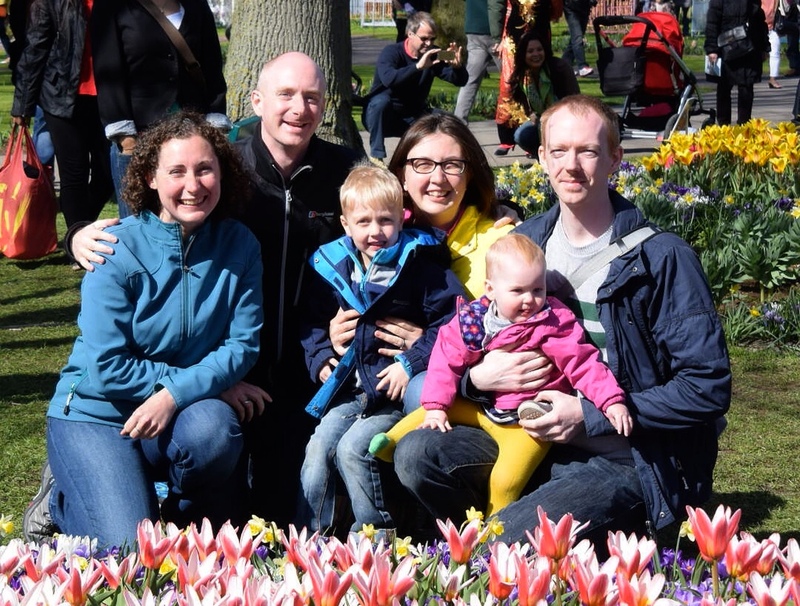 The Netherlands is the world’s biggest exporter of cut flowers and the locals like to brighten up their lives too. Pretty much every cafe and bar has bud vases with tulips or gerberas on each table and it is common to see larger bouquets in museums or shops, not to mention poking out of the bags of ordinary shoppers (much like baguettes in France!). What one item should you definitely pack when going to Amsterdam? Something orange to wear if you’re planning to visit on King’s Day! This entry was posted in Places and tagged Amsterdam, Netherlands, Round Up on May 4, 2015 by Julie.